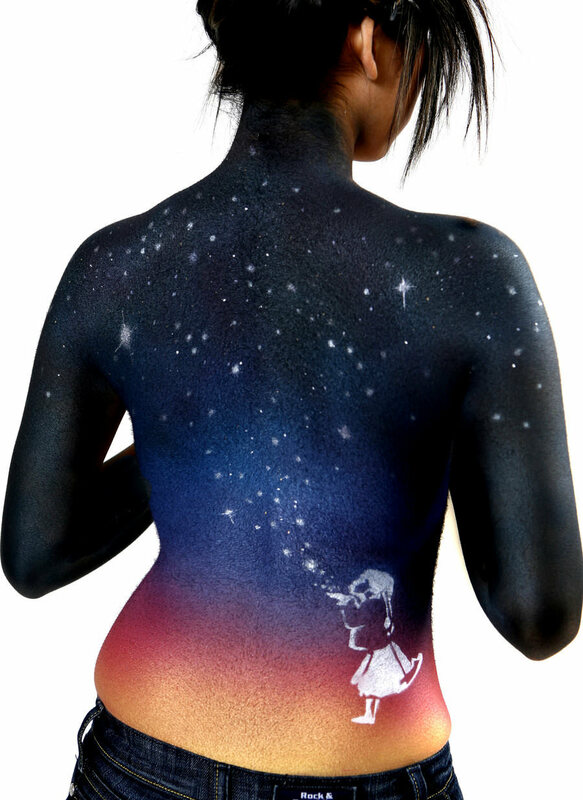 Body painter Becka Walley created this incredible star and galaxy design using a combination of freehand painting and airbrushed coloring. This piece of art helps us to realize that the sky is the limit for any young girl, as long as she never stops reaching for the stars. This gorgeous floral body painting design represents the idea that this woman is bringing new life into the world, planting the roots for her family tree. Artist Leon Rainbow takes graffiti art off the streets and onto the human body with these vibrant “spray paint” designs. The koi fish is known for its ability to swim against rough currents, which makes those who wear it on their bodies feel as though they can face any type of adversity. This colorful koi design incorporates traditional Asian culture into a new school style. Take one glance at his work, and it’s clear why body painter Craig Tracy is renowned around the globe for his unbelievable talent. A person could stare at this body painting, titled Unrestrained Flight, for days and still find new elements within its design. We can confidently assume that this work from artist Juliana Fischer is a tongue-in-cheek look at the modeling industry, with its black and white etching of a female skeleton painted on a svelte model’s back. This bridal body painting design is even sexier than any piece of lingerie that a woman could possibly slip on for a boudoir photo shoot. We’re confident that any man would love to find this corset and garter combo beneath his new bride’s gown on their wedding day!